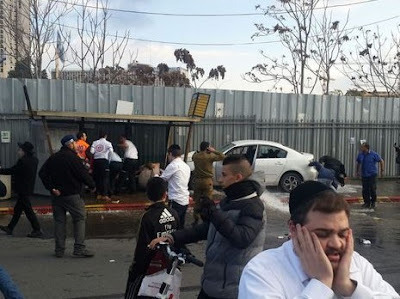 In yet another display of his desire for peace, a 21-year 'Palestinian' terrorist plowed his car into a crowd of civilians at a busy bus stop in Jerusalem today. 14 people were hurt including a 15-month old baby was was seriously wounded (and whose mother was moderately wounded). Fortunately, here in Israel many civilians carry weapons, and the terrorist was instantly 'neutralized' (killed)... before he could pull his axe and his screwdriver out of the car. Police named the terrorist as Abed el-Muhsen Hassuna, a 21-year-old resident of the neighborhood of Beit Hanina. He was shot dead as he tried to exit the car. A new axe and a new screwdriver were found in the vehicle. Hassuna drove his white Mazda sedan onto the sidewalk, smashing into pedestrians at a bus stop, close to the Chords Bridge and near the capital’s central bus station, police said. The car also struck a fire hydrant, sending water shooting into the air. A member of the security forces, a security guard and an armed civilian who saw the attack taking place shot the attacker before he was able to get out of his car and approach the civilians. The civilian was the first to respond, and shot the driver, Channel 2 said. The 'Chords Bridge' (גשר המיתרים) is near the main entrance to Jerusalem and is normally quite crowded. Had today not been the last day of Chanuka - a day most of the kids are off from school - this could have been far worse God Forbid (one of my own children often changes buses near there). But the problem is that we haven't made enough 'concessions' to the Freakestinians. Ask John Kerry. Well educated Americans want to know what's going on over there. I understsnd the Jewish People have been oppressed, mistreated, and have been victims of false accusations and violence. I think after WW2 Americans felt deep compassion at what horrors were endured. Ever since, we have strongly supported Israel as our best and closest mideast ally. We are led to believe, through media, that each time the Palestinians are given more opportunities, some jerk commits an act of terrorism, so Israel punishes them for that murderous behavior.by oppressing them even further. and hatred put forth upon them by Israelis who hate them and consider them to be inferior humans, much like Hitler felt about Jews. I would give anything to know if Jews are RACIST as part of their being or does Israel hope to eventually scatter and/or eliminate Palestinians and then just have Israel absorb Palestine and Gaza into itself. I would like to spend a month in Palestine with a translator but I don't want to get killed. I cant go to Israel for the same reason. 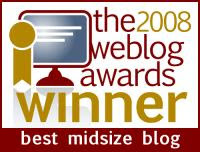 Are there any blogs etc where Americans, Pslestinians, Israelis can comment back.and forth in english or trandlstion? It seems this particular american is not well educated. Just youtube can provide you with a lot of information (and disinformation) on the subject. To make it simple, israelis want a demiliterised palestinian state and the arabs want to anihilate Israel. Everythig else is demagoguery. No one has answered cuz we are all too busy trying to figure out which Christian child to kill for blood for our Passover matzos. Carl, why do you bother publishing idiotic comments like the one above? I guess that moron proved who is born a racist.